What a wonderful Christmas! We headed to Murfreesboro to spend Christmas Eve and Day with Libby, Led and Savannah and Led's mom, Marilyn. This precious angel was singing the blessing at 20 months old for our Christmas Eve dinner...and then we wished the Baby Jesus a Happy Birthday! There is nothing as angelic as a baby...unless they've had too much sugar which happened on Christmas day! Don't I look lovely? This was around 7A on Christmas morning...thank heavens the hair wasn't too horrid, but of course you don't tell a baby to wait while you put on makeup....so all natural! We had the best time with Savannah...you know you've overwhelmed her with presents when you ask her if she wants to open another present and she says "no please"! After a wonderful Christmas day brunch, we headed home to nap!! Today the tree came down and we started the preparations for the Notre Dame/Florida State Bowl Party at our house and the arrival of Woody's brother and his family for the Mississippi State versus Wake Forest Bowl Game here in Nashville on the 30th! This was supposed to be my year to go to a Bowl Game, but with MSU playing here in Nashville it was silly not to stay home...so ND get back to a bowl next year!! Tomorrow is house cleaning and Wednesday is cooking! This holiday season has been fabulous...we usually head to Florida for the winter but it's so much fun with Savannah that we probably won't head down til February. 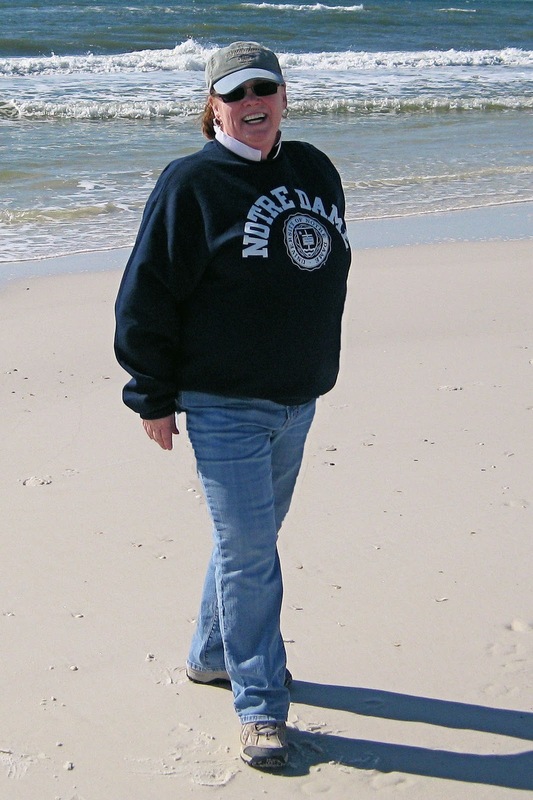 January is cold in Destin anyway! Estelle and David suggested we go in February...bet they're having canasta withdrawal like we are! I think my tip for you is to enjoy your friends and family, not just at Christmas, but all through the year! As we get older, we will begin to lose loved ones or may suffer poor health and not have the freedom to run and play....it's important to embrace every minute to the fullest. Run and play and hug and love! Hope you've had a blessed holiday season and best wishes for a Happy New Year! The Doomsday Prophecy and Dementia! The History Channel is running Armageddon Week including a series of shows on the Apocalypse 2012 predictions of the Maya Long Calendar...the last baktun of the calendar ends on December 21, 2012. Soooo.....if the world is ending in a year, does that mean I don't need to diet? If the Mayans were so smart...where are they now? Did they leave with the aliens that helped them build their civilization? The problem with all this is that so many of the wars, disasters and conflicts happened as predicted in the katuns that make up the baktuns. December 21, 2012 is also the date of an unusual cosmic alignment where the earth completes a wobble that occurs only every 26,000 years. How did they know? Is this a cataclysmic event? How does this correlate with Nostradamus? Now you know what I watch when there is absolutely nothing on television! When I struggle to find something on all these high definition channels, I generally settle on something that is profound...like whether the Mayans were really that smart or how sharks hunt or how to remodel my bathroom on $2.98...JK...it costs more than $2.98. At first I felt guilty about not using every minute of every day in a productive manner, but then I remembered that I'm retired. Life is getting shorter and I should have time to consume vast quantities of knowledge...hopefully in this case, inconsequential knowledge! It's also much cheaper than going back to school unless you find a college that lets you audit or sit in a class free...however...tip for the day...It's never too late to learn something...you can go back to school, watch the History Channel or HGTV, tutor your grandchildren, teach literacy in your community, or just read. If we quit learning, our brains weaken and life becomes really boring. Not using your brain has also been linked to dementia...I would rather watch the History Channel than lose brain cells! I know people who can only talk about the past and have no clue about anything going on in the world or even in their own community. Our world is challenging us daily...it is important to be engaged and learning and contributing right up to either the end of the world or the end of our lives...whenever they occur! For those of you who know me well, you know I'm addicted to gossip sites and blogs. While I temper it with the NY Times and the Washington Post and post under the nom de plume Healthcare for All, I also love to read about the Kardashian's and Elin Nordegrin and lots of other people who's lives seem unbelievably fascinating to boring old me! One of the things that I've learned is that there is so much negativity in responding to entertainment posts and political posts that I may have to give up this guilty pleasure. I don't really understand why people read things and then say how horrid the people or actions are...if you don't like someone or something, don't read it and then say such incredibly angry things. Civil discourse seems to be missing in the world today. Profanity and tirades are not constructive. If you read something and disagree, state your case. If you're smart enough to use a computer and can read, then one would expect that you could link words together to agree, disagree or make recommendations without resorting to boorish language that would embarrass your mother! Perhaps my tip for the day is to remind everyone that if you can't say something nice, don't say anything at all...or to paraphrase a bit...if you can't add to the educated discourse, then perhaps you shouldn't show your ignorance by posting! I've found as I get older, I'm becoming more sensitive to how our country seems to be spiraling downward in civility. Kindness seems to be missing in our day to day interactions with others. When there is no concern for others, aren't we heading down the same road that led to the downfall of Rome? Someone posted today that charity should not be forced. I don't know that I agree with that...perhaps we should educate others as to why charity is important because our country seems to be a bit too self-centered lately. We are only concerned about ourselves and what we can get out of life in our personal greed. How can we ignore the children in our country who are hungry? How can we ignore that greed on Wall Street has destroyed so many lives? How can we ignore that so many people have no access to healthcare? Why are racism, sexism and lots of other "ism"s still condoned? I think perhaps I need to go to bed now...maybe I'll feel better in the morning but right now I'm bummed. Please let's be nice for a while..at least through the holidays! Try to say one nice thing a day...or more please!! And if you post in response to an online story....think before you hit enter!! Well, I'm officially re-retired again! One of the nice things about consulting is that eventually you are through and can be home and making Christmas cookies with your granddaughter! Now if Marsha will give me a break for a while before finding me another job! We've had a wonderful few weeks...we combined a trip to my favorite casino...Harrah's Cherokee....a trip to Chapel Hill to see our beautiful 7 year old granddaughter...and a trip to Greenville, SC to finish my consulting engagement there. Since Chris and Jen moved to Chapel Hill, I just can't ask Woody to drive 540 miles in one day...we are too old! So Cherokee is halfway. One of the perks of Harrah's is how generous they are with incentives to come and play including free rooms! Of course, usually I pay more than a Ritz Carlton with my losses. This time came home about $50 to the good! Riley is almost as tall as I am and I am so hopeful that she will be tall, thin and blonde...which was always my personal goal. The closest I ever got is one summer I decided to be a blonde which is not a good thing for a swim instructor/lifeguard and chlorine aficionado...green is not a good hair color shade! We had a wonderful time eating and shopping in Chapel Hill...so the thin thing is not likely either. Nantucket's had a wonderful lobster roll and incredible desserts! It was fun to see Bella the great dane and her new brother Charlie the bulldog. Chris and Jen's house is in an incredible wooded and hilly setting which I love but only because I don't have to do the yard. Chris and I agreed it reminded us of the Knollwood house except our lot there was flat. The trees make it so established even though it's a newer area. Woody and I both love Greenville...we hit our favorite TJMaxx and our favorite restaurant, Takosushi...and yes, it's southwest/far east so you can have enchiladas or sushi (or bait as we call it in the south). Woody got to go to The Lazy Goat and High Cotton, two of my favorites. 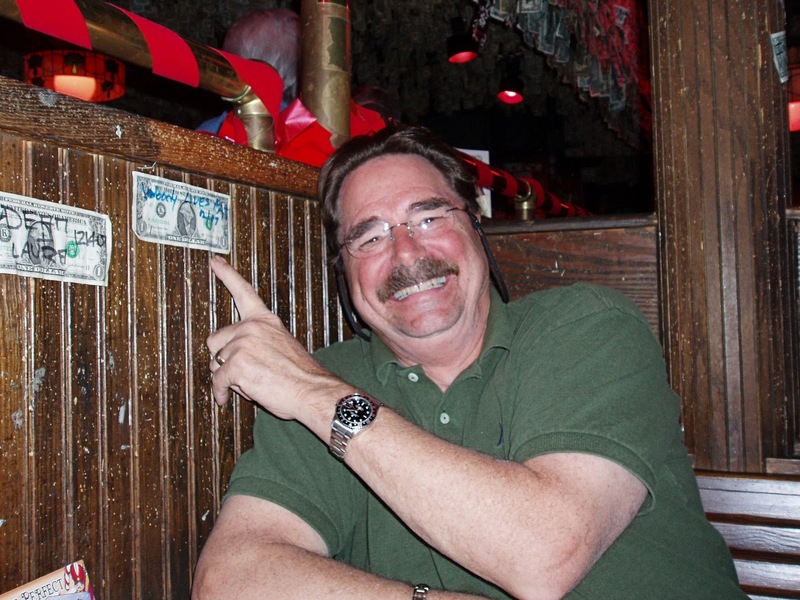 Isn't it funny that I seem to blog about casinos and restaurants? And now you know why I still consult on occasion to be able to afford my preferred lifestyle. So my tip for this blog...If you want a really fun retirement, consider a part time job since the market hasn't been kind to any of us! My consulting work allows me to remain professionally engaged and still feel that I am helping cancer patients...this time a physician practice. I met some of the most dedicated staff I've had the pleasure to work with in a while! There have been lots of challenges, but they've never lost sight of why they do what they do. So keep all cancer care providers in your prayers...and pray you never have to meet any of the wonderful people that spend their entire careers caring for patients and families with this dread disease. I've spent almost 40 years in cancer care...it is the most rewarding thing I could ever imagine...from nursing to education to administration to consulting, I've always loved it. I guess that this is the passion that everyone tells you to find and is the reason I've not been able to quit working completely. As we enter this Christmas season, don't forget to put Christ in Christmas. It's not things; it's so much more. Making cookies with your granddaughter, watching your granddaughter climb a tree, missing the grandson you don't see as often, seeing how a kind word and and coffee can help a patient and family deal with a new diagnosis, leaving a little extra tip for the frazzled waitress who may be trying to get through school or care for her family...well you get the idea! I'll let you decide how to put Christ in your Christmas. You'll feel great! Merry Christmas!! One of the problems with retirement is that you can get dull! I don't want to be like the "old folks" (and yes, I know I'm one of them) that sit around and talk about how great it used to be or their latest malady! Falling into a rut and doing the same thing day in and day out is dangerous. If you sit in front of the TV, never go anywhere, rarely leave town, and don't seek out new opportunities, you will decline both mentally and physically. All this talk about staying active is valid...get out, try new things and live life. There is a cute ad for a Toyota Venza that shows the daughter in front of facebook, while the parents are out riding bikes! I want my children to complain that I am too busy for them! As my frequent readers know, I'm a compulsive Groupon and Living Social addict! If you haven't signed up, what are you waiting for? There are always coupons for restaurants and events if you actively seek them out. 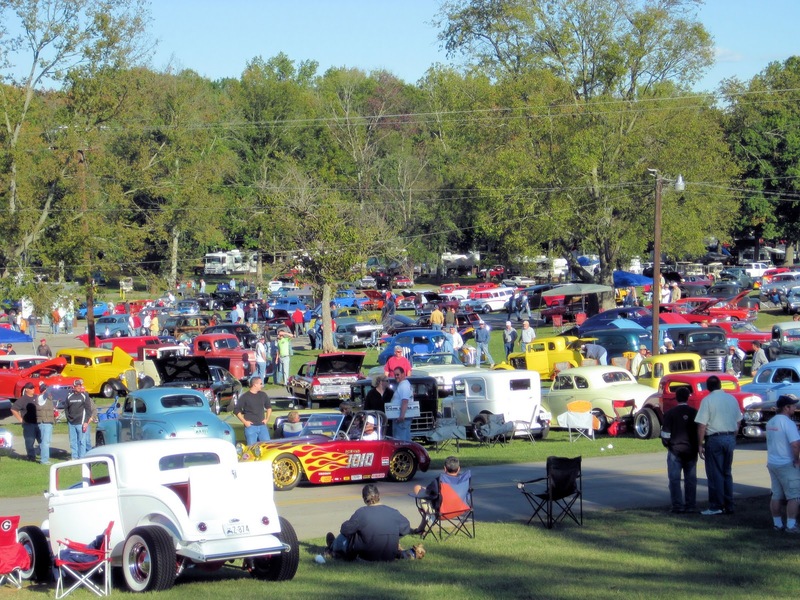 Car shows are free or low cost and lots of fun! We recently bought a Nashville City Saver Coupon Book sold by our local schools to raise money. The first week we had it, we recouped our $25 investment while enjoying a night out at the Whippoorwill Cafe with entertainment by the WannaBeatles and dinner out with our granddaughter! The WannaBeatles are a tribute band for, you guessed it, the Beatles. Our other favorite local band is Boomerang, a 60's and 70's tribute band. OK, OK...I did say not to dwell on the past, but the music was great! Intellectually stimulated for me is easy...I still work occasionally as a consultant and medical editor. It requires me to stay current in the field of cancer care and to fire up the synapses to edit manuscripts for non-English speaking medical professionals. When you read something besides the depressing newspapers, you realize there is a whole world out there that could be fun! Have you considered volunteering with a community agency to teach literacy? What about dog walking at the Humane Society? Local schools often need volunteers...if you have a skill in math or science or English...have you considered tutoring kids with learning needs? Offer to do a story time at the library if you're creative! If you like plays or athletic events and can't afford a ticket, volunteer as an usher! Volunteer to visit residents in nursing homes in your community...read to them, help them to write notes, or just listen. Bottom line...get off your bottom and do something! The nice thing about being retired is you can do things during the week when everyone else is working so you don't fight the crowds! Have a great week...and my tip for today...start making plans to stay physically and mentally active! 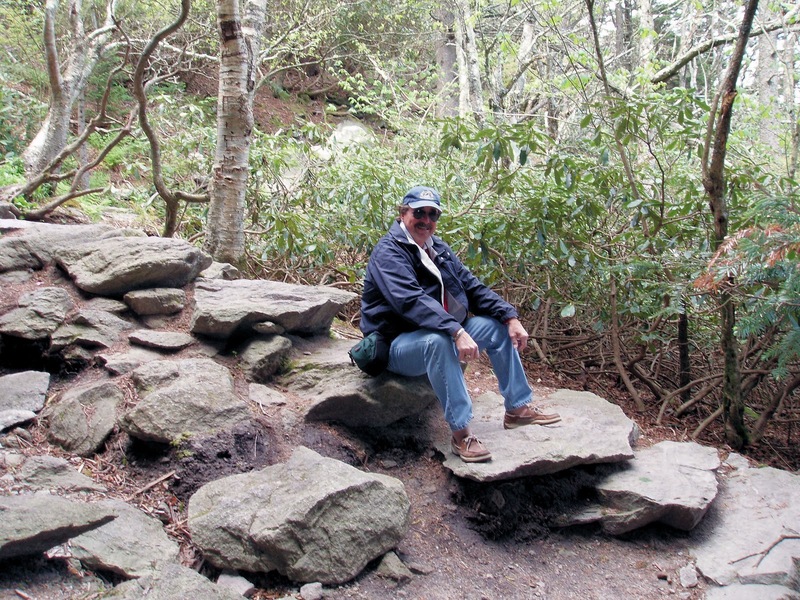 One of the fun things about retirement is you can travel whenever you want! We just spent a wonderful weekend at Harrah's in Tunica with Janet, my dear friend for life. Sometimes you get so busy that you forget to reconnect with friends and family on a timely basis. My tip for today is schedule time to reconnect with friends and family. 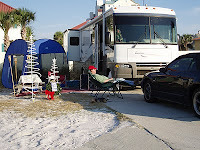 The nice thing about casinos and motorhomes is that they often connect at an inexpensive campground! We love MidSouth RV Resort in Tunica on the campus of Harrah's Tunica! We planned the trip and everything was going well until the driveshaft disconnect on the Mustang failed. You can't tow an automatic unless you can disconnect the driveshaft! Soooo....plan B. One of the great things about Harrah's MidSouth RV Resort is that they run a shuttle to the casino and to Horseshoe Casino so you really don't need a car. Janet was coming on Saturday so she would have a car if there was a real need. Off we went with a naked motorhome...meaning we weren't towing a car! First time for everything. Once we got to the park, we were so glad that the pads are FLAT concrete because the jacks wouldn't go down...for you novices....without jacks to stabilize, you feel like you're on a boat when Woody walks through the coach...it's rocking! So those were the only two problems. The best part of the weekend (other than seeing Janet of course) was the Paula Deen's Buffet. It is some of the best food we've ever eaten and it's reasonably priced...cheap even, if you have a Total Rewards card from Harrah's and have lost a bit of money gambling! And of course, let's talk about gambling. It was a good weekend...I came home with all the money I had budgeted for losing and still gambled Friday night and all day Saturday! I would get up a few hundred and then put it all back trying to win a big jackpot!! Janet is now a big girl and has her own Rewards card and I may have her addicted too...she does have more self control than I do! Woody was ecstatic because he flirted his way into the owners' reception Friday night for the car show that was happening over the weekend with a barbeque contest and then saw cars all day Saturday. All in all it was a great weekend. 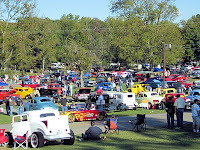 Now we have to get the RV and car fixed because we head out to the Fall Pilgrimage in Natchez, MS the first part of October. We'll reconnect with Mike and Janis and Estelle and David...and who knows who else we'll run into along the way. We are so blessed to have friends and family that we stay in touch with...sometimes you get so busy when you're working that visiting suffers...when you are retired, take advantage of your free time and reconnect with people you've neglected. Even if you haven't seen someone in years, you'll find that those years quickly fall away when you take the time to reconnect! Did you think I had vanished? It's been a while since I've posted because we've been so busy. We hit the road a bit in the RV this summer and remembered why we love it so much. Sometimes you have to reactivate your feelings when you get old...that includes our use of the RV. As you age, things do tend to get a bit stale so you have to shake things up a bit. We tend to get into a rut and forget to try new things. When we decided to travel this summer, we sat down with the Atlas and figured out how to work a trip around the wedding of a dear friend, picking Mackinac Island and the UP of Michigan and northern Wisconsin since we hadn't been there. When you travel as much as we do, you tend to struggle to find new places. The last two years we've done cruises to both coasts of Canada and Alaska, but really didn't want to cruise again this year. The international instability is also a concern...when there are riots in London, you know things are in turmoil. This turmoil is a great reason to explore the U.S.! We spent Labor Day at a family reunion in East TN with the kiddos and grandkiddos followed by a quick trip to NC, leave soon for a weekend with a dear friend in Tunica, MS, and head to the Natchez, MS Fall Pilgrimage in October. We can't wait to tour the Antebellum Mansions! The other compelling reason to stay closer to home is money! The stock market is fluctuating to the point that I'm dizzy. When you are retired, you don't have a lot of time for the market to rebound! I think that I also would prefer that my little dab of money be spent at home to help our faltering economy since our fearful leaders in DC don't seem to be doing anything. We have been so blessed to have traveled so much internationally over the years that if we never leave the U.S. again, we'll be fine. I still want to go to Ireland, but I still have a few more good years so hopefully I will get there some day!! So your tip for the day...re-energize and shake things up a bit. Get out of your rut. Even if you can't afford the trip of a lifetime, look closer to home and see what the U.S. has to offer...it doesn't even have to be far from home. 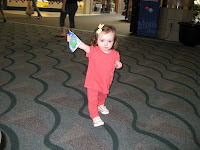 Most of our trips have been regional and we are having a ball. We have a nephew and his family that recently moved to Nashville and find more to do here than we even realized. Shakespeare in the Park, lots of local and neighborhood festivals, art gallery crawls and plays and programs at local colleges are all things they've discovered. We just forget to look and then complain that there is nothing to do! When I worked, I always had a "to do" list and plans for the upcoming month. Crack open your favorite beverage and sit down with your significant other and make a list of places you'd like to see and things you like to do.They don't have to be costly and, in fact, many local events are free. Enjoying life requires a little effort on your part! Activities just don't drop in your lap...if you sit in front of the TV day in and day out, or do the same old things over and over, you may not shorten your life, but you'll certainly shorten your fun! So check the paper on Friday or Sunday for upcoming activities, check local and regional websites for festivals and celebrations, and don't forget your local colleges with theater departments who often offer plays very inexpensively! Be proactive and get out of the house! You'll be glad you did. One of the nice things about being old is that you have gathered tons of friends over the ages. Whether from family or work or neighborhood or church, it's always fun to get together even if it's been years since you've been face to face! With facebook and classmates.com, it is easy to reconnect with people you've lost touch with over the years. We just had a great weekend with Mike and Janis, Woody's brother and his wife at the Indy 500! Our friend Cathy and our soon to be new friend, her husband David, are on their way from Raleigh to Chicago with a brief stop at the Edens' B&B! Or in this case B&D&B! Planning a lovely dinner at home to have lots of time for conversation and catching up. Consider finding old friends and inviting them to come visit! It doesn't have to be fancy, just fun. Even if you haven't seen them in years, you'll love catching up, checking out who has the most wrinkles, and the cutest grandkids. You have more time now that you're retired so use it to reconnect with special people in your life. And then, of course, there are fun times with grandkids. Off to Florida later this summer for a family vacation on the beach...the only struggle we've had thus far is our lead foot daughter and son-in-law and the slow pokes (that would be us!). I'm just going to be sure that we have the address because I'm too old to drive fast. After that trip, it's off in the RV. The housesitter is ready to guard and protect the house, the lawn and pool service engaged...all we have to do now is pack. We're going to try to check in with some of our Florida trailer park friends that have headed north for the summer. You can collect new friends to go with the old ones whenever you open yourself to the possibility. Have fun this summer and collect some memories and new people to add to your circle of life. One of the fun things about being retired is watching the "old" men solve the problems of the world. Whether it is the Romeo Club, retired old men eating out, or the Liars Club as our group at McDonald's calls themselves, you can go in any restaurant for breakfast and see them! Our bunch averages 8-20 each morning including both men and women arriving and leaving at different times. Woody and I are in the late bunch that arrives about 9:30AM...we don't like to get up early! I can remember my dad taking Woody to his club at Gigi's in Jackson...girls weren't allowed!! While there are multiple social outlets for seniors, a breakfast bunch is more engaged with each other. When one gets sick or has problems, the group rallies around and helps. It's almost like an office without the work...but yes, there are still tiffs and politics just like in any work or social setting. I tend to observe more than participate...not sure why, but I think it reminds me a little too much of high school plus I still have to work a day or two here and there so I'm not consistent with attendance. Ed, Woody, Bill and Ron are the core of my main men...not sure who the gentleman in the back is! This 4-some runs and plays when the wives let them...exciting trips to the tool store, the KFC buffet, and to buy tomato plants on Dickerson Road...wink, wink...inside joke! The nice thing about retirement is you can sit and chat without time constraints and really engage with your friends who are also retired...Jane and I debrief when we both show up at the same time! We send the boys off to their own table and then we talk about them. The bad thing about retirement is that your friends who aren't retired yet don't have as much time to just talk. You need to make an effort in this time of email and instant messaging to talk. We get so busy that we don't just sit down and chat about everything and nothing. This is what our grandparents used to do on the porch with a glass of tea as the neighbors stopped by...now we do good to connect via facebook and email. Our generation is losing connections that our parents and grandparents took for granted. HOWEVER...thank goodness for Skype. I finally had to break down and buy a new computer and I made sure that it had a built-in webcam. Then I signed up for Skype and was able to chat with my kiddos and grandkiddo while seeing them. For grandparents with grandchildren out of town, it is absolutely wonderful. And of course, it is free! You can also add a web camera to your existing computer set up. The one thing I haven't quite figured out is just how good I have to look before I accept a call! You can also schedule time to chat but that takes away the spontaneous "look at my new whatever Mimi"! I guess our kids love us regardless of no makeup and flat hair. 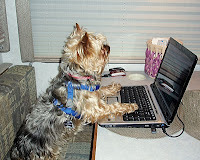 It is so easy to Skype, but my friends at the Geek Squad can help you if you need it! And for those of you complaining that I don't update enough...just deal with it! I have a life outside the box! Retired and loving it! Have a wonderful rest of the week and weekend...and your assignment? Talk to someone for longer than a nanosecond! Hugs! As you know, I try to avoid politics, but as a retiree, I need to stay on top of what the government is trying to "do" to me! I blog a lot and recently posted this on an MSNBC site...I'm sharing it here for you to think about and to encourage you to get active in the political party that is closest to your beliefs. If you aren't actively working to get Washington's attention, we are doomed to take whatever is voted on and dished out to the masses! So pardon my rant...but think about it. Your health could depend on it. "Let's see if I have this right...I will get a voucher to buy insurance from an insurance company that refuses to insure older adults with pre-exisiting conditions because the Repubicans are trying to repeal the President's healthcare law that mandates that I am insurable regardless and I probably can't afford it anyway because my Social Security is in jeopardy and corporations don't provide pensions anymore so I have to save money from my poorly paid job if I have one while trying to put food on the table and shelter and clothe my family. Corporations no longer offer pensions or retiree health plans because they are too expensive a benefit and unions can't negotiate on their members' behalf. If corporations do offer retiree health benefits, the cost is exhorbitant...mine is $900 a month for basic coverage. If I go to the hospital through the emergency department, they must treat me whether I have insurance or not. When hospitals don't get paid, they raise rates on everyone to cost-shift unreimbursed expenses to those with money and insurance. And, corporations are getting a tax break, the wealthy are getting a tax break, and the middle class and poor are paying a greater percentage of their income for necessities and taxes at a time when corporations and state governments are 1) not providing even cost of living raises but are giving huge bonuses to executives who have performed poorly and perhaps illegally, and 2) are still laying off or not hiring to squeeze more productivity out of the few employees too afraid to complain or are in a union that has no bargaining rights. What part of really messed up doesn't Congress understand? Oh wait...they get paid regardless of their productivity, they can vote themselves a raise, they take money from the corporations that subsidize their campaigns (conflict of interest anyone? ), they have really good health insurance, they are only worried about themselves and the constituents that voted for them, and they have no interest in representing "we the people" unless we can do something for them. I wonder just who can manipulate us best in 2012? Promises, promises, and no follow-through. Give me strength!" I wish I could just quit reading about politics! The latest vitriol about the government shut down is almost comical. We encourage our children to plan their retirement without depending on social security, but what about those of us without the time to make other plans? With companies doing away with pensions, Wall Street killing our 401(k)s with market manipulations, the loss of thousands of dollars in equity in our homes...what ever are we to do? I think the thing to do is to become politically active in our old age. Sometimes we sit back and don't get involved, assuming that someone else will vote or work to elect the right politician or lobby in our best interest. While I love AARP, I am not quite willing to turn over all my decision making to someone else. I think we've seen that the Tea Party has mobilized to take over the direction of our country and the Republicans are following quietly along with their ideas that are not in the best interest of everyone. Yes there is waste in government and pork in every bill passed...it is not unique to the Democrats or the Republicans...or even the Tea Party! The mood in Washington is to cut as long as it doesn't affect me. When a politician is elected, he or she is elected to serve all the people not just the people who voted for that particular candidate. I think we need to do a little inservice for the House and the Senate. Our members of Congress must serve all the people, not just the special interests or the rich. They must serve the underprivileged and the wealthy equally. And if they don't, then they must not serve. Here's what I recommend. For every day that Congress can not agree on a budget, they don't get paid. If they shut down the government then they are not doing their job and when I don't work, I don't get paid. Duh...several weeks without a paycheck might improve their ability to reach consensus. Congress is willing to make the elderly, the military, public servants, children and others suffer by not being paid...shouldn't that also be applied to those that caused the problem with their political gamesmanship? We've had a rough week! One of our dear friends has been in and out of the hospital with a variety of problems. Hopefully he is on the mend now. It's a reminder that you need to take care of your health. Start with annual visits to your really good primary care doctor. Ours is Dr. Lewis Johnson at the Frist Clinic. We just went this week and got a great report including the fact that we've both lost a little weight! Be sure that you do your routine screenings including mammography, colonoscopy, prostate exam and PSA, and Pap smear as appropriate. You can't enjoy retirement unless you have your health! Woody and I also swear by supplements. Now I can't tell you what to take, but I can share with you what we take. And never start supplements without talking to your doctor. A good multivitamin for old people is important! We use Centrum Silver. We take Osteo Bi-flex or its generic for joint health and collagen support (helps with my tennis knees! ), Noni (which the Hawaiians think cures everything), an 81 mg Aspirin, fish oil capsules and red rice yeast capsules for our cholesterol levels, and Woody also takes acidophilous (a probiotic) for his allergies and saw palmetto for prostate health. We also love V-8 juice because it has lycopene and watercress which Dr.Oz says cures everything! We occasionally add watercress to salads and some sauces. I would certainly encourage you to research supplements online or at your public library. Barnes and Noble and Books a Million bookstores both have great reference sections on maintaining your health, including the use of supplements and homeopathic remedies. Now you know I can't talk about health without talking about exercise....and I have no room to talk! I chase my granddaughter, work in the yard, clean the house, and Woody and I swear by urban hiking. But we don't "work out" in the truest sense. Oh by the way, urban hiking involves mall walking, WalMart walking and sometimes just meandering. At WalMart make your list and then go back and forth from one side of the store to the other. It takes a while to shop that way, but you get exercise and you're retired so you don't have anything else to do anyway!! And believe it or not, we still love to hike and Woody loves ziplining...yes at 65 he did the longest zipline in North America on our Alaska cruise! So get off the couch and do something...even if it's just walking around the neighborhood and spying on your neighbors! When you are old you gossip about your neighbors and this might provide new fodder for the discussion! Just kidding. Take care of yourself and stay healthy...and Bill you get better...Woody and Ed are depending on you to go on you for boys day out trips! The three musketeers must continue on their quest for the perfect buffet! Sometimes Retirement Can Get Boring! One of the things that I've learned over the past few years is that at times retirement can get boring. You get up, go to breakfast with the buds, and then try to figure out what else you want to do. 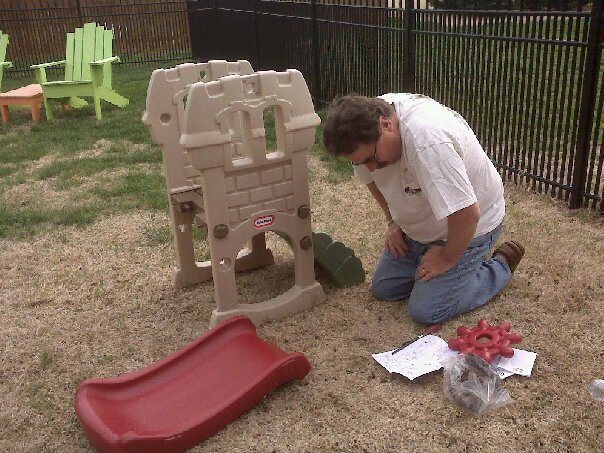 No matter how you plan your day, whether you work part time or not, how many grandkids you play with...you still will get bored at some point. Now I think I'd rather be bored at times than go back to full time work...but just be aware that at some point you'll wonder what's next. Woody used to tell me that I needed a hobby to retire. I got several going before I retired but now I'm looking for new hobbies to master. So I guess the message is that change is inevitable...whether at work, at play or in retirement. There are ups and downs, but mostly ups. The longer you are in retirement, the more change you should expect. So not only do you worry about money, but now I'm telling you that you must worry about getting bored. Bummer. So here's the deal...get more hobbies than you ever thought humanly possible to enjoy because you'll get bored doing the same thing day in and day out...too much like work! Expand your group of friends. Get a map or not and follow the yellow brick road. Go back to school but this time for fun. If you always wanted to be an architect or archelologist or astronaut, go see if you really did take the wrong career path. Get a library card and read significant works, not casual books. Join a book club. Join a garden club...not me, I hate yard work! And if you think of any other fun things to do, let me know! I'm always looking for new ideas that don't involve shopping or eating...my two favorite things to do! With the price of gas going up, we did the absolutely wrong thing this week. We love to meander...so, with gas rising, we headed out on a road trip. We went to Pancake Pantry in Nashville...or the village, if you're a local. Breakfast was $30...and then we just started driving. We ended up going through Leiper's Fork www.leipersforkvillage.com which is a trendy little community and home to multiple stars including Keith Urban and Nicole Kidman, the Judd's and Brad Paisley and Kimberly Williams-Paisley. So we drove about 150 miles meandering through the countryside! Great day...saw lots of jonquils and blooming bushes! Today was almost as bad! We drove to Green Hills and had lunch at Cheesecake Factory and walked around the mall...of course I came out with a purse. I had to buy it...it's a Brahmin with a "woody wagon", a palm tree, a truck and a '57 Chevy...sounds crazy but it's so cool! We had already driven around our former street in Hendersonville to look at the wind or tornado damage. All in all...about 50 miles today. Now 200 miles at $3.25 a gallon! So one piece of advice...consider buying a hybrid or all electric car before you retire if you want to drive a lot!! But driving a lot is part of the fun of being retired. 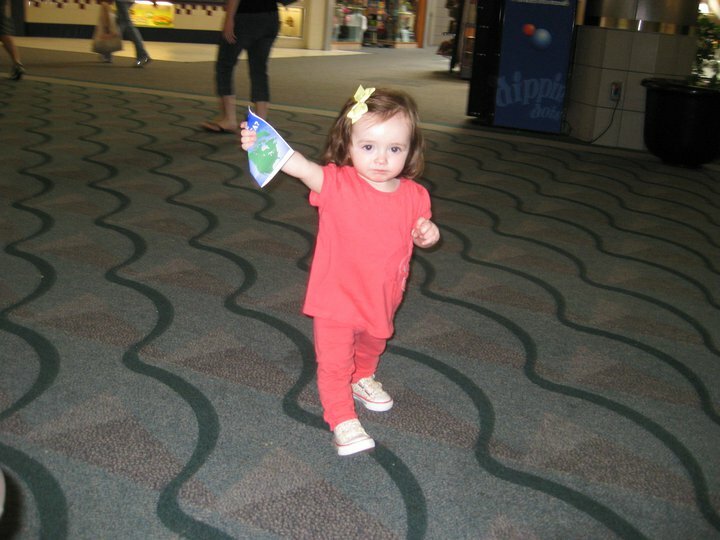 Tomorrow is a sleepover with baby Savannah. Her mother is coming out for lunch and a bit of shopping before she leaves...and we keep the baby! The fun of babysitting grandbabies is PRICELESS! I still work as a healthcare consultant on occasion to pay for our travel...this week was a work week. It has been a while since I've flown and between trips I forget that it's not as much fun as it used to be! From getting to the airport hours early just in case security lines are long to late arrivals and broken planes..it ain't what it used to be. I added up the time it took me to get home from Greenville, SC to Hendersonville, TN by plane and it would have been quicker to drive! So next tip...if you're retired, think about whether the journey might be part of the trip rather than just the destination! A few years ago, we meandered the Maine coast in May eating lobster, lobster rolls and clam chowder at every opportunity. While we saw the usual lobster boats and lighthouses, we also saw things off the beaten path that tourists rarely see. One of our favorite photos is laundry on the line tied between a tree and the dock. The colors, early spring flowers and water were tranquil and reflected the emergence from a long winter. We chatted with the locals and were pointed in the direction of great dives and fabulous food. You don't have to eat "frou frou" to get really great lobster rolls...in fact, the more simple the better. Lobster meat, a little mayo and the bun, preferably eaten standing in the parking lot or on a dock looking at water. From work to retirement can be something like that...racing from work and end point to end point to meandering along the back roads and out of the way places! Be sure your car is in good shape and reasonably fuel efficient since gas is going up...but if you're driving slow you'll use less gas. Pick months that most people don't vacation and you'll save a fortune on hotels. We also pick less popular months for cruises too...we did Nova Scotia and Alaska cruises in September. The cost was almost ridiculously low, the boats weren't packed, and we only had to put up with a bit of cool weather and occasional misty rain. With the right clothes, layers of course to add and subtract as needed, you can enjoy anywhere. If you're retired, you can also meander to where the cruise departs rather than flying. Repositioning cruises are great at the beginning and end of seasons when the boats move to their next port. Sometimes you don't even need to get off the boat to have a blast! We're thinking about doing another Nova Scotia cruise and just taking different shore excursions! You can save money, enjoy the journey and head on out to the sea. If you don't want to stray too far from home, consider the back roads around you. 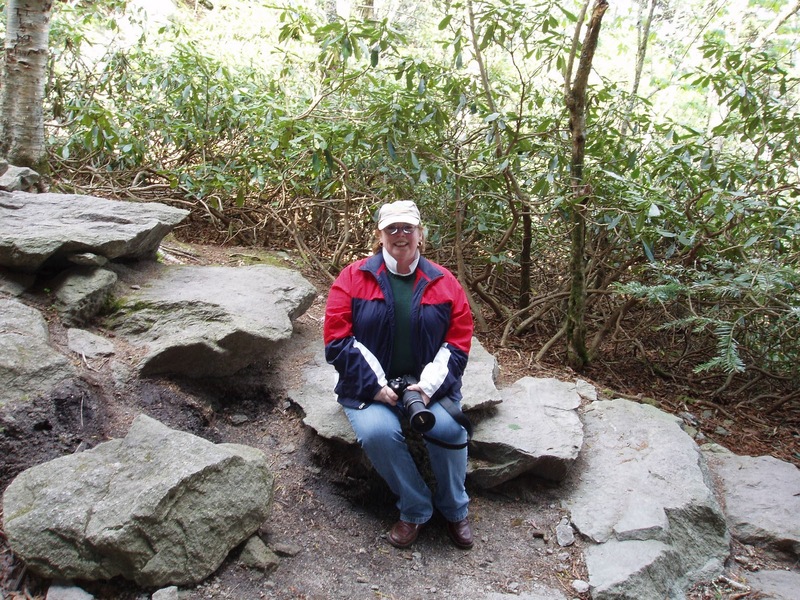 When we first retired, we spent a lot of time being tourists in Tennessee. Like a lot of other people, we rarely had the time to explore. Day trips became fun, but there was always an overnight bag with clean underwear in case we found somewhere we wanted to stay! One trip we did do a quick WalMart run for toothbrushes when we forgot our bag! So enjoy the journey...the destination isn't really that important! Not all tips about retirement have to do with money or saving money or working...throw in grandchildren and it makes everything perfect! While I worked some this week, I also took time for a sleepover with Savannah, a movie with hubby, spending my Groupon at Barnes and Noble, dinner and a fast trivia tournament, not to mention cleaning out the closet and a snow storm. Busy, busy, busy! Sometimes you just have to play. While moving through retirement, don't forget to have fun. We get so focused on managing our dwindling portfolios or working to make up shortfalls, that we forget that retirement is supposed to be fun. Like many of you, I graduated from nursing school on a Friday night and went to work on Monday, rapidly followed by marriage, children and more school! When our kids graduated, we encouraged them to run and play for a year...sort of like a gap year that so many of our European friends' children do between high school and college...our one hippie like daughter really embraced it...truth be known....she still does! The other two work a lot but do have a bit of fun along the way. We love our kiddos but we really love our grand-kiddos! They are so much fun to play with, shop for and just all around spoil. So plan on spending some time with your grandkids and rediscover your inner child. 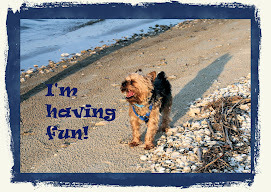 Life is too short not to have fun! Have fun with your spouse! Woody and I truly are best friends and would rather be with each other than anyone else...well, most of the time. When I make him clean out his closet, he might rather be somewhere else! Remember when you fell in love and before the kids and bills and stress and work...try to recapture that feeling if you've lost it. If you're single, consider your options. I have a friend in her late 50's who just got married to a wonderful man she met through an online dating service...I think it was eHarmony. Another friend is a perpetual volunteer. In addition to seeing everything from plays to football to basketball free, he's met a few cuties along the way. Hasn't settled down yet, but at 70 he says he has a few years before he has to grow up. Don't be a couch potato. Get out...have fun...remember why you wanted to retire in the first place! Volunteer. Join a dating service. Find a club or group to join. Do all those things that you always complained that you never had time to do!! When all else fails, go to a funny movie and just laugh. You are responsible for making life what you want it to be...I can't imagine a day without laughter...can you? One of the best deals I've found is Groupon! Once you sign up at http://www.groupon.com/ and select your city, you get a daily email with deals in your city. I just got a $20 Groupon for $10 for Barnes and Noble (http://www.barnesandnoble.com/ ), our favorite bookstore that can be used locally or online. Our dinner club as a group all bought Groupons for a wine tasting at Belle Meade Plantation in Nashville (http://www.bellemeadeplantation.com/ ) and can't wait to use them. Other recent Groupons included spa treatments, restaurant discounts, and gym memberships! We got a great deal on dinner and a play at the new Nashville Dinner Theater (http://www.nashvilledinnertheater.com/ ) in downtown Nashville! If you are traveling, you can also enter your destination city and see what's available. So free sign up and huge discounts! What could be better in retirement? I've spent two days now trying to get this lovely blog tied into facebook! I did buy a book called Blogging for Dummies but haven't read it yet. Typical...try to jump through hoops without reading the directions! I've had this blog running for almost 5 years now but just decided to "monetize" it as they say. In other words, put ads on the blog and pray that someone clicks on them or even better orders something from Amazon and I get money! In the past, the blog has been more to keep our friends up to date on our retirement journey and travels...I'll still do that, but more importantly, I want to share tips for retirement survival with all of you retirees or pending retirees! So wish me luck and click away! When we decided to retire, we had planned on selling our house and storing our stuff and taking off in the RV. We have a saying in our family...God laughs when you tell Him your plans! Needless to say, the house didn't sell. 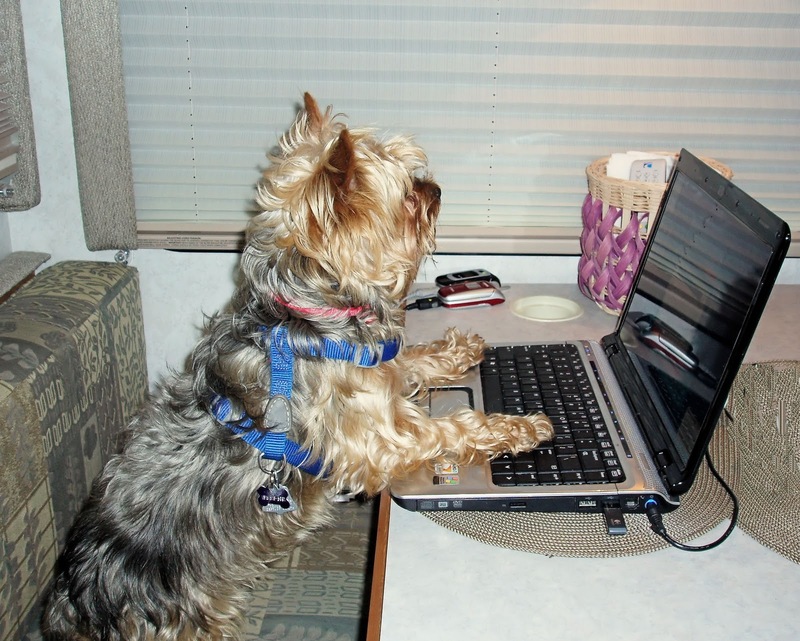 We decided to still try to travel in the RV and work part time along the way. Hiring house sitters and lawn services is not the most cost efficient way to do it, but it will work. The best option is to become a work camper...also known as a workkamper! You sign up for a service that matches employers with employees who want to work in retirement! With or without an RV, you can find part time jobs by going to http://www.workamper.com/ and signing up for their job lists for a small fee. Here's the way it works...employers post part time or seasonal jobs of all kinds, you send a resume, and then you get hired. 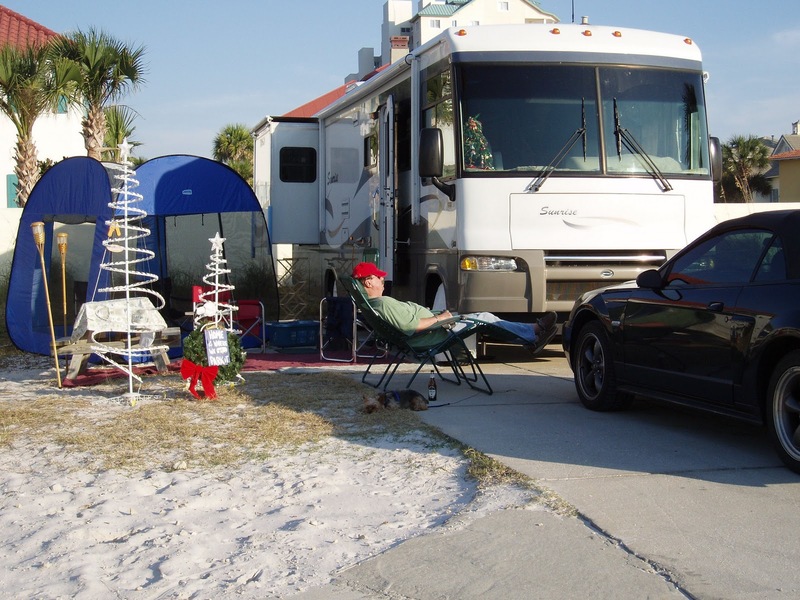 If you have an RV which is most often the situation, the employer provides you a spot for your RV, you work a certain number of hours without pay to "pay" for the spot, and then you get paid for all other hours worked. Some jobs are as few as 10-20 hours a week up to full time. Jobs are usually in resort or vacation areas. We spent almost 6 months in West Yellowstone, Montana, the gateway to Yellowstone National Park! We worked 28 hours a week in a gallery and gift store and spent the rest of our time exploring the Park and surrounding areas including Jackson Hole and Cheyenne, Wyoming! It has been the most fabulous "vacation/part time job" we've ever had. We also took this job because we thought we wanted a gallery...decided really quickly that we didn't like retail. We also tried working in a campground for 6 weeks checking campers in and out...not fond of that but we have friends that are staying free in a resort area all winter in return for some outside maintenance and cleaning the restrooms a few days a week. Restrooms sound gross, but most campers use the RV bathrooms and if they do use the resort baths, they are usually neat! One retired CEO said it was the best job to have because it takes only a few hours a week and if you factor in campground fees it's the highest paying job he had ever had! Jobs may also be in a theme park and Disney Resorts hire tons of people for part time, seasonal jobs. There are also other options if you don't have an RV or are traveling alone. 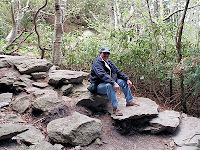 Both the National Park Service and a company called Xanterra hire seasonally and provide "dormitory" accomodations http://www.xanterra.com/ at parks across the country. We met one single woman who had worked for about 20 years at Yellowstone from summer employment while a school teacher to part time work in the summer in retirement. If you want to travel internationally, options are available through both volunteer and paid positions. If your health is great and you are adventuresome, there is always the Peace Corps who encourage healthy, active adults to apply! The Peace Corps provides health coverage so that's also an inducement if you are too young for Medicare. Just search online and you'll find tons of opportunities. If you aren't quite this adventurous, there are lots of local part time jobs you can explore...remember, you are supplementing your retirement income until the market comes back! You can work in day care and after school care settings if you want to work with children, the YMCA (I got offered a job teaching swimming which was also, by the way, the first job I ever had), a gym, or Chicos (my favorite store!). In addition to a salary, there may be perks such as discounts, free memberships or even access to health insurance! Think about all the things that you wished you had been able to do before you had to take a "real" job. Because of my healthcare background, degrees and love of writing, I work as a contract medical editor for a firm based in Taiwan and China. This allows me to work when I want and from anywhere in the world! All I need is a computer and internet service! I also found a consulting company that lets me work select jobs without commiting to full time work. I've even worked for my old company a few times. Keep an open mind...my neighbor wanted a fancy closet retrofit and while getting a quote, found out they were looking for help on Wednesday and Saturday making appointments and were even somewhat flexible on her desire to still travel occasionally! She even got a hefty discount on her new closet. So...bottom line...you can always travel virtually free and spend long enough in an area to really see it. You can stay at home and make extra money to enjoy your retirement until the market comes back. You can take part time jobs that allow you to explore things you've always thought you wanted to do. But most importantly, you'll feel better if you are out and about and exploring the world rather than being a couch potato! So combine a little work with a lot of play and embrace retirement! 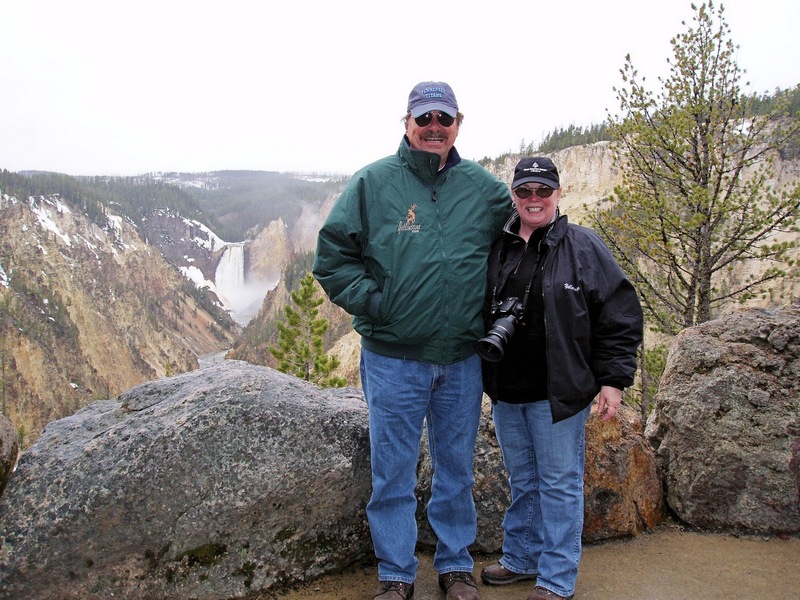 And so...with a memory of Yellowstone and the Lower Falls...happy retirement from Woody and Pat!